October is Breast Cancer Awareness Month. A recent article in the Arab Times Online reports that deaths from breast cancer among women in Kuwait are considered the world’s highest due to “a lack of awareness and delay in detection of the disease”. Women in Kuwait need to be better informed about two aspects of breast cancer: how to prevent it, and ways in which breast cancer can be detected early on. What increases your chances of getting breast cancer? The importance of breastfeeding cannot be underestimated as a factor in breast cancer prevention. Breastfeeding prevents breast cancer in the mother who breastfeeds as well as in the daughter whom she breastfeeds. The longer a mother breastfeeds, the greater her chances of avoiding breast cancer. In a study published this year, scientists found observed a lower proportion of breast cancer among women who breastfed 7 or more months. A study published in 2010 found a 66.3% reduction in breast cancer risk in women who breastfed for 12-23 months, 87.4% reduction in 24-35 months and 94% reduction in 36-47 months categories. A study published in 2009 found that failure to breastfeed was associated with an increased incidence of premenopausal breast cancer. A 2002 meta-analysis published in Lancet found that the shorter amount of time a women breastfed, the less they were protected against breast cancer. The study concluded that the lack of or short lifetime duration of breastfeeding typical of women in developed countries made a major contribution to the high incidence of breast cancer in those countries. Smoking is associated with a modest increase in the risk of breast cancer. Not exercising regularly probably increases your chances of getting breast cancer. Researchers in China and the United States concluded from a study of about 3,000 women that those who weren't burning calories through activity were more than twice as likely to develop breast cancer than those who maintain their weight through regular exercise. properties are garlic, onions, broccoli, cabbage, kale, brussels sprouts and greens, carrots, celery, cilantro, parsley and parsnips, tomatoes, peppers, flax seeds, citrus, and soy. Are Breast Self-Examinations Worth Doing? each breast for possible lumps, distortions or swelling. Regular and frequent BSE was once promoted heavily as a means of finding cancer at a more curable stage, but studies have not found that it is effective in preventing late stage breast cancer. In fact, some argue that BSEs can actually cause harm through through needless biopsies and surgery. The World Health Organization continues to recommend the practice of BSE as a way to empower women to take responsibility for their own health, but their is no evidence that this practice actually prevents late stage cancer. Routine Mammograms: More Harm than Good? A mammogram is a low-energy-X-ray used to examine the breast. It is used as a diagnostic and a screening tool. 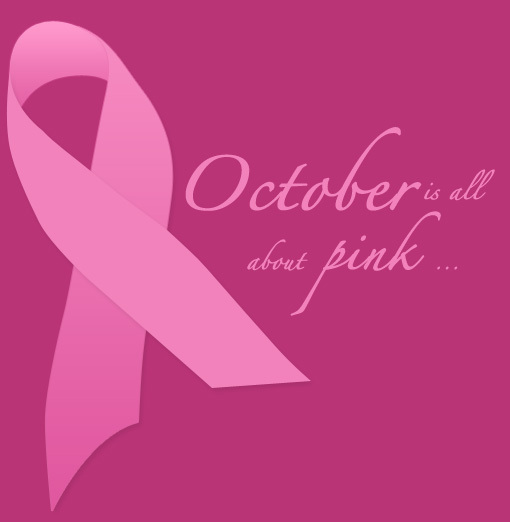 According to conventional medical wisdom, women over the age of 40 should get a routine mammogram every two years. The reasoning is that mammograms can detect breast cancer early enough to treat it, before it becomes fatal. Recent studies have brought the routine use of mammograms into doubt. A Danish study this year found that up to a quarter of breast cancer tumors detected by mammograms are over-diagnosed, and would have never caused any cancer symptoms had they remained untreated. Researchers compared the number of breast cancer cases in women who had been offered mammogram screening to those not offered mammogram screening. The researchers had predicted that if mammograms were beneficial, there should be lower rates of late-stage breast cancer cases among women who had undergone mammogram screening, because early detection by mammogram would prevent late-stage breast cancer. The findings, however, showed was no significant reduction in late-stage breast cancer among women who had undergone mammogram screening, but instead a significant number of over-diagnoses. They found that while mammogram screening prevented one death for every 2,500 women who had undergone screening, about six to ten women were treated for a benign cancer that would have never caused symptoms. As a result of this and earlier studies, Health Canada has stopped recommending routine mammograms for all women under 50, and limits routine mammograms to women 50 and over and to women under 50 who have a history of breast cancer in the family. The upshot of all of these studies is that you can do a lot to prevent breast cancer: breastfeed, donʼt smoke, exercise, and eat healthy food. Also, be aware of your own family history and possible genetic predispositions. Until scientists develop better tools for detecting and someday curing breast cancer, prevention may be more effective than early detection. Baxter N (June 2001). "Preventive health care, 2001 update: should women be routinely taught breast self-examination to screen for breast cancer?". CMAJ 164 (13): 1837–46. PMC 81191. PMID 11450279.